Life with your child can be interesting. Or should we say flavorful? Sometimes you wonder where they got their taste buds. Did you find your baby under a habanero plant? You were supposed to go to a cabbage patch if you wanted a bland baby. All you can do now is appreciate their intensity when they ask for extra jalapeño on their nachos or suggest you add a little more garlic to the gravy. Maybe keep some milk on hand for the rest of the family? Spice, for the most part, is good for people, there could be worse passions in life. You never know, this intensity might just spread to the rest of their life. When they're in that board meeting with the CEO they might be the one to say, "yeah, but let's do more and let's do it with flair!". They could be that teacher who never gives up until the student has won the national science fair. Just be careful if they become a chef, love of spice only increases with age. One thing's for sure, your spice loving child is going to be pretty enthusiastic about this chili pepper costume. This easy costume is cute enough to make you want to pick a peck of your peckish kiddo. If you want to earn some extra brownie points give them a pack of hot Cheetos for their trick-or-treating munching. Halloween is so biased towards sweet fiends. 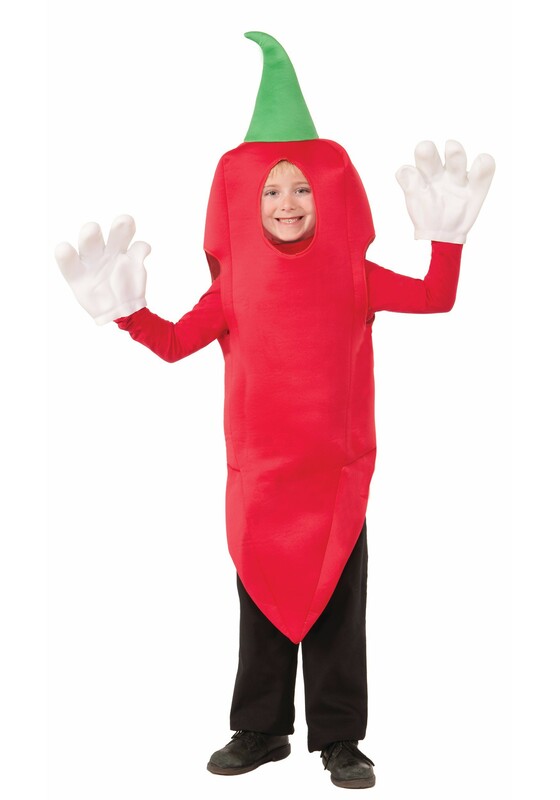 This Halloween, embrace your offspring's spicy side. Childhood doesn't last long, savor the flavor of this thyme.